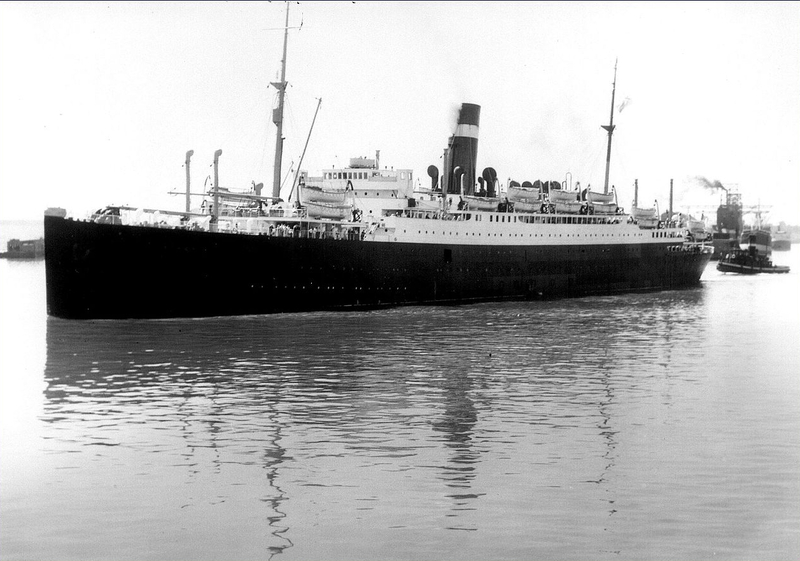 The SS Athenia was one of the first British ships sunk by a Nazi U-boat in the opening days of World War 2. It was built in Glasgow in 1922 and carried 1,418 passengers. It was attacked on September 1, 1939 at a distance of 200 miles from Inishtrahull on a voyage from Glasgow to Montreal. 128 passengers lost their lives among them 28 US citizens. The faint signal of the distressed ship was picked up at Malin Head and a rescue operation was set in train. Many of the passengers were children and the attack provoked outrage across America, as such attacks were in breach of the Hague Convention. There were calls for the US to enter the war and the attack on the Athenia opened up a debate about American attitudes to the war in Europe. In a recent letter to the Irish Times (17 April 2015), Norman Fullam has pointed out that the Malin Coast Guard was under instructions not to engage in the war operation but decided to intervene to save lives. The ship floundered for 14 hours before sinking and the prompt action of the Malin Coast Guard undoubtedly saved many lives. As a new Maritime Museum is being planned for Derry City on the site of Ebrington base, there is no doubt that the story of the Athenia and other passenger ships will be a central feature. Since 1805, naval communications have been prominent in the history of Malin Head. Lloyds took over the tower at Banba’s Crown in 1835 and Marconi in 1902. Visitors who commence their journey on the Wild Atlantic Way at Malin Head may ponder on the unique maritime heritage of the area hidden from view beneath the Atlantic waves. I Have a Souvenir spoon of the Athenia from her early Passenger days with her name and Company Crest . The Athenia made it first visit to Lough Foyle in May 1924 to pick up Emigrants travelling to to Canada enroute from Scotland .